Click the button below to add the PXT Select™ Sales: Comprehensive Selection Report to your wish list. 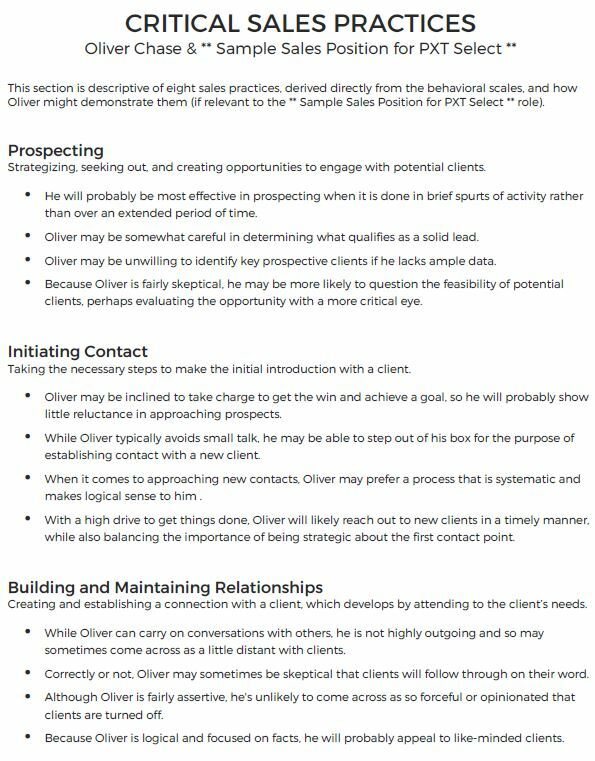 The PXT Select Sales: Comprehensive Selection Report measures a potential Sales candidate against the Sales Performance Model typical of high performers in the role. 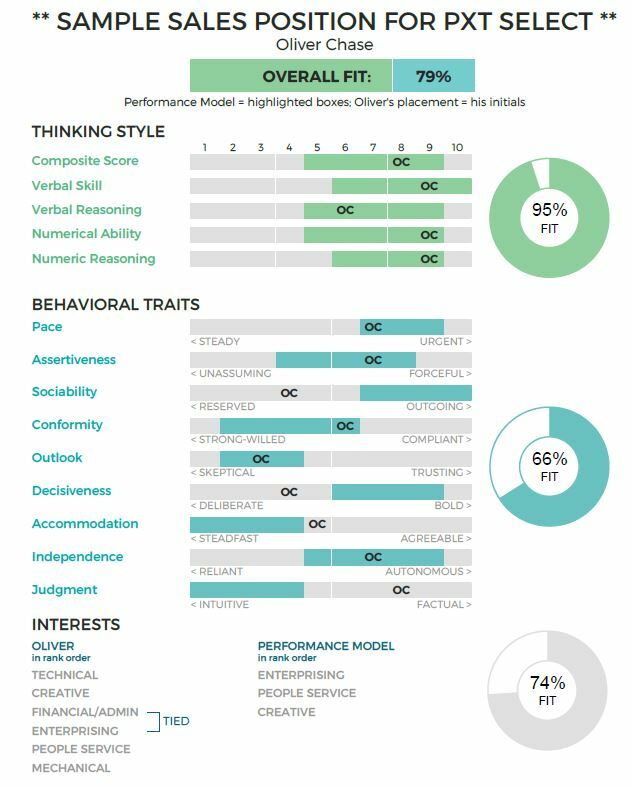 Graphic and Narrative Results – Graphic results complemented with insight into how the sales candidate fits the performance model. Eight Critical Sales Practices – Feedback and observations of eight sales practices derived from the behavioral scales and how the sales candidate might demonstrate them. Customized Interview Questions – Includes specific questions and listening ques for questions focused on identified challenge and strength areas and each remaining scale. The cost of the PXT Sales: Comprehensive Selection Report includes a one-hour coaching call and access to 12 additional PXT reports. Contact us to learn more about our corporate pricing packages for volume purchases.